Mancers is a map Fredz converted from Duke Nukem 3D using Build Map Converter Programs. It's a smallish, fun, death match map which has six player spawns and uses a combination of Kingpin and Duke Nukem 3D textures. 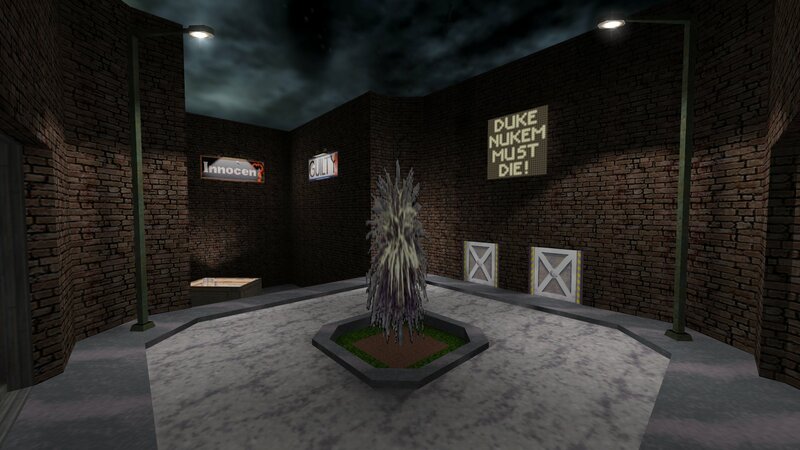 The original Duke Nukem map was made by Cole Savage who made Sick City (sickre.bsp) map for Kingpin. You can download Mancers from here.